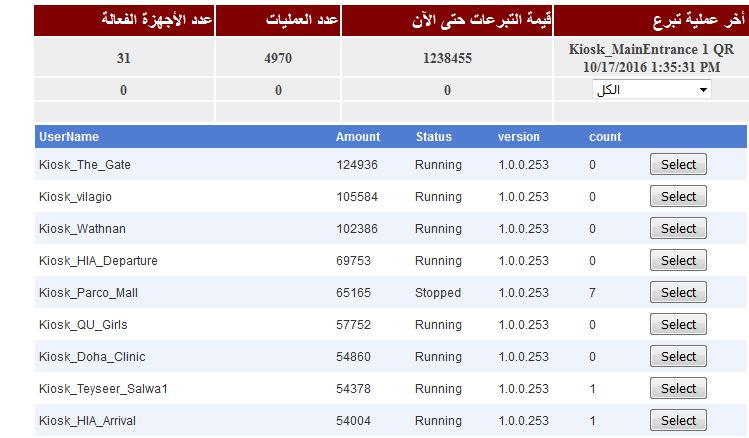 The admin panel is managing donations transactions for one of the most effective project inside Qatar Charity organization. 1- Mange donations activities (payments, deliveries, donations distributions through sales points). 5- Access donation devices from remote access. 6- Run update scripts on the donation devices .